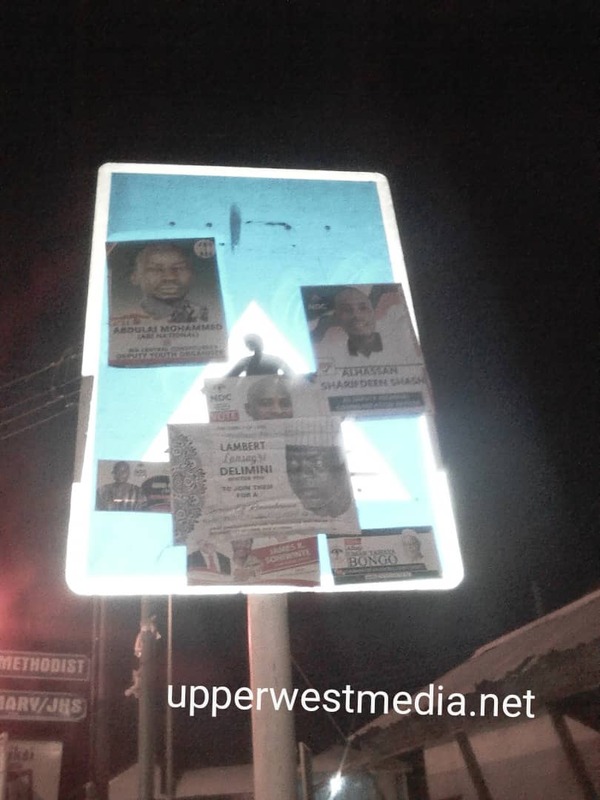 Road safety signs in Wa township have had their faces flooded with stickers and papers of events and political candidates of the various political parties in Ghana. The attitude has worsened as over 40 percent of the Road safety signs including Zebra crossing, speed limits, curves and speed rumps etc have been blocked leading to road accidents frequently. According to some road users in the area, they have a feeling the authories are scared of the images on the road signs since they are mostly politicans and refuse to buy the idea that the actions have not been noticed since they are in the heart of town. According to Mr Mohammed Abdul-Samad, the Regional Manager of NRSC, the road safety signs are being abused but have the opinion that it’s not left on to him alone to fight the cancer, he suggested the assembly and National Council for Civil Education should come in to enforce, sanction and educate culprits and the ignorant public on the implications of their actions according to Road Traffic Act – 2004. November 12, 2018 in Business.